On Saturday, September 15, 2018, more than two hundred-fifty visitors from across Spain and six other countries gathered in the small mountain village of La Granja where the summer palace of Spain’s royal family is located. The occasion—the fiftieth anniversary celebration of Centro Bíblico Betel, dedicated to serving a very different and much greater King. Religious freedom for non-Catholics was sparse in Spain under the thirty-nine-year regime of Generalisimo Francisco Franco when BCM’s first missionary to Spain, Cuban-born Maria Bolet, began serving there (see Raising a Banner High for Spain, BCM World Magazine, Fall, 2007). In fact, Maria was repeatedly expelled from Spain for teaching God’s Word to women and children. But she always returned. When constitutional reforms in 1967 legalized non-Catholic public worship and free exercise of religious beliefs, Maria returned permanently to Spain. In 1968, along with other BCM missionaries now serving in Spain, Maria began looking for a property that would serve as BCM Spain headquarters and a year-round Bible Institute and camp facility. 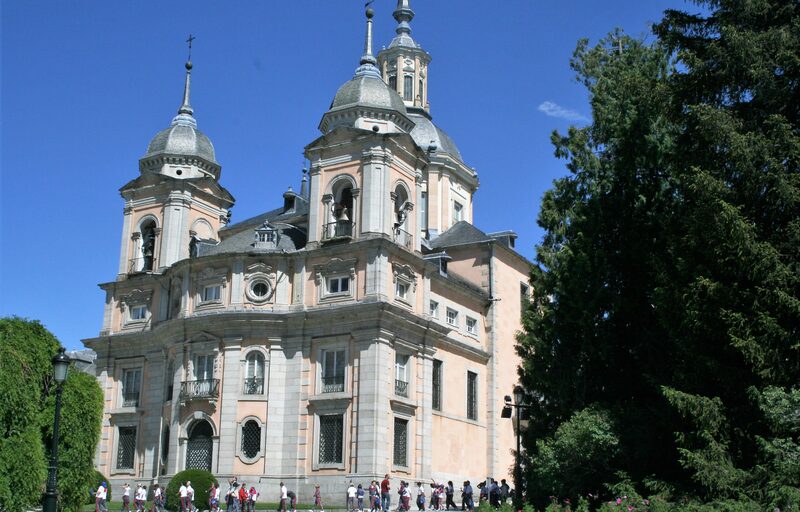 The property God provided was a large, high-walled compound on the very edge of the royal gardens in the historic cobblestoned village that for centuries housed the workforce of the summer palace in high, forested mountains just eighty kilometers from the capital city, Madrid. Fifty years later, Centro Bíblico Betel remains one of Spain’s best-known Christian camp and retreat centers. 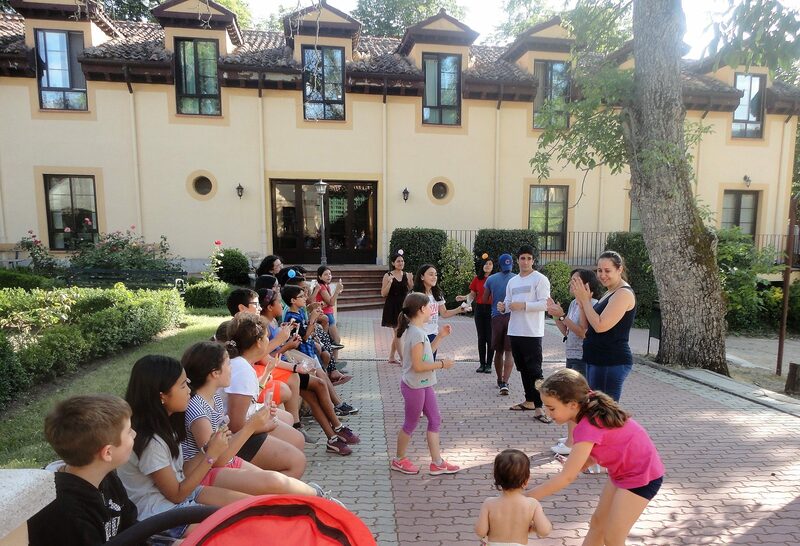 Tens of thousands of Spanish children have attended summer camps there over the decades, many of them now ministry leaders and Christian professionals all across Spain. They in turn are now sending their own children to camp each summer at Betel. Exploring the royal gardens and woods is always part of the fun. But remaining Bible-centered and Christ-focused is the priority for which Betel has become known. Celebratory events for Betel’s fiftieth anniversary included a banquet and commemorative assembly at a nearby hotel, along with a reception in the courtyard of Centro Bíblico Betel. A local television news program also covered Betel’s fiftieth anniversary, highlighting the impact the camp has had in the town of La Granja itself as well as across the nation (see interview). Many local churches who have volunteered at the camp along with former staff and campers were in attendance. Among overseas guests were BCM president Marty Windle and BCM Europe director Richard Thompson with his wife Joan as well as retired BCM missionary Evelyn Plett from Canada, who took on leadership from Maria Bolet in 1980 and served as camp director for twenty-six years. Welcoming guests was current director Isabelle Leaitch, also a BCM missionary from Canada, who has served in Spain since 1984 and received the baton of leadership from Evelyn in 2006. Isabelle sees the ongoing role and purpose of Centro Bíblico Betel as an “atalaya”, or a banner in English, such as were once raised in battle or royal procession to identify a king and his party. In Scripture, a banner raised high proclaims God’s presence and truth. It also identifies God’s followers (Exodus 17:15-16; Psalm 20:5, 60:4). For the last half-century, Centro Bíblico Betel has been such a banner raised high. 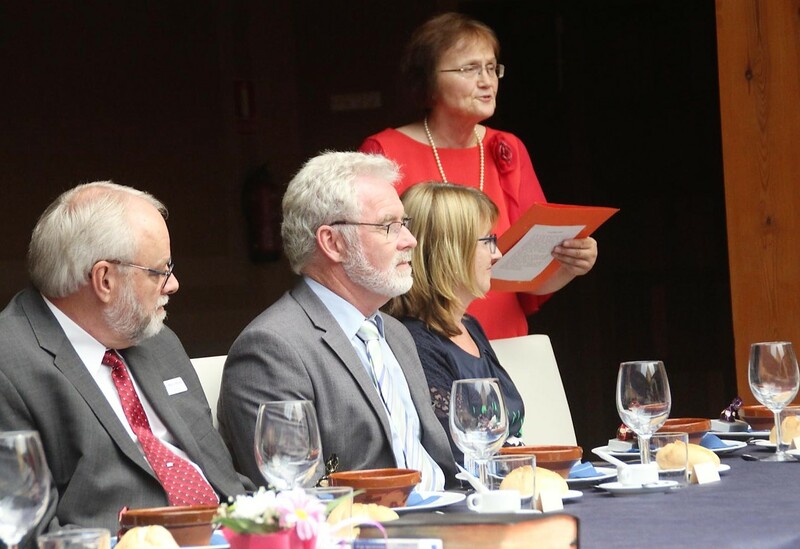 Fiftieth anniversary celebration over, Isabelle’s ongoing vision and that of every BCM missionary and volunteer serving at Centro Bíblico Betel is that its banner continue to be raised high for God in Spain for the coming fifty years or until our Lord’s return.